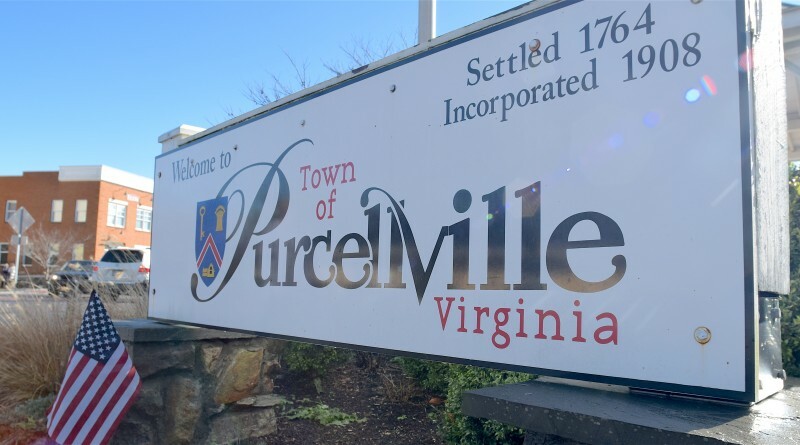 During the Purcellville Town Council’s Jan. 12 meeting, Bluemont resident Jeanne Girolami publicly accused the Purcellville Police Department of misconduct and wrongful arrest of her husband in 2008 and announced she is seeking financial reparation from the town. Giramoli had earlier met with Mayor Kwasi Fraser and Town Attorney Sally Hankins. Fraser declined to place the matter on last week’s council meeting agenda, but invited Girolami to air her grievance during the public comment session. Town representatives declined to comment on the claims. Former Police Chief Darryl Smith did not return phone calls seeking comment. In 2008, the Girolamis were dog walkers for the Lowry family, who lived on South Maple Avenue, next to Teresa Maxwell. The Sept. 2, 2008, incident appeared to have stemmed from a fender bender by Girolami’s husband, Louis, who ran into Maxwell’s fence. Girolami claimed her husband had not received a trespass order and that Maxwell had called the police to arrest him. Girolami said her husband, who is diabetic, had broken his arm a few days prior to his arrest after a fall and had it surgically repaired. She claimed it was re-broken and badly injured during the arrest. Girolami, who was away on vacation at the time, said her husband spent 12 hours in jail, the couple’s three dogs were seized and taken to the animal shelter, and her husband’s truck was seized. She further claimed her husband was refused medical care for his arm while in jail and also was refused insulin for his diabetes. “They believed he was faking it,” she said. “The chief of police should have apologized; he manufactured evidence,” she alleged during the council meeting, adding her husband was taken to court and told he needed to plead guilty or they would file other charges. Purcellville Police records show that a trespass notification order dated Feb. 21, 2007, was issued to Louis and Jeanne Girolami notifying them to refrain from entering Maxwell’s property or be subject to arrest. General District Court records show that Louis Girolami appeared before District Court Judge Julia Cannon on Nov. 14, 2008, pleaded guilty and was sentenced to 20 days in jail, all suspended. Other conditions imposed were that he permanently remain off the Maxwell property and not to walk the Lowrys’ dogs for a year. He was put on probation for one year, according to the disposition order. Thank you for bringing our family’s plight to the public eye. I intend on continuing to pursue this matter with the Purcellville Town Council in hopes that they will put our family’s issue on the agenda for future consideration. It is simply not possible to present a case to the council in its entirety in the five minutes allotted to the citizen for airing a grievance. Because I had only five minutes to present my case, Loudoun One was severely limited in the facts they were able to gather and present in their otherwise fine article. Please allow me to follow up your article with some additional facts in order flesh out the story so that the public may understand the issue in its entirety. The most important fact is that, just days before he retired, former Police Chief Daryl Smith admitted to me that the trespass order which supposedly had been served to Mr Girolami, which this entire case was based on, was non-existent. Chief Smith told me he was perfectly aware of this before the case went to trial, but that he chose to use this bogus document to prosecute my husband anyway. Chief Smith told me that he didn’t care if I told the Mayor about it, or brought this case of malicious prosecution to public light, because, and I quote: “I don’t care who you tell, because I’m about to retire. You can tell anyone whatever you want. Nothing will come of it. Go ahead and tell the Mayor, because I’m retiring in a few days, and I’m outta here”. The No Trespass Order filed by Ms Maxwell, that you refer to in your article as being in the public record, was served to me ONLY, in person, by Chief Smith while I was visiting at the home of my client, Mrs Lowry. Just after moving in next door to Pamela Lowry, Ms Maxwell served No Trespass Orders against her elderly neighbor Pam Lowry, and myself. We don’t know why Maxwell served these No Trespass Notices, as she did not give a reason to Chief Smith for doing so, and he was unable to explain to us Maxwell’s reasoning for doing so. The No Trespass Notice served to me, which is in the public record, was served by Chief Smith to ME only. It was signed ONLY by ME and Chief Daryl Smith. Although the notice did happen to also have Mr Girolami’s name on it, as well as my own, Chief Smith explained to me that the reason why my husband’s name was on the notice, since Ms Maxwell didn’t know my husband nor had ever even seen him, was because Maxwell had used my license plate to access my name and address. She needed some way to find out what my name was in order to know who she should serve the No Trespass Notice to. My name and my husband’s name are both on the DMV License Plate registration, so Maxwell just copied it verbatim off the DMV record’s, including my husband’s name. Chief Smith told me that the No Trespass Notice was not meant for my husband; he said it was for me only. I signed my copy of my No Trespass Order, and Pam Lowry signed hers copy of her No Trespass Order, we all laughed about how ridiculous the whole thing was, and we handed the signed notices back to Chief Smith. At that time, Smith made a point of telling me (and Mrs Lowry is my witness), that the No Trespass order DID NOT extend to my husband, therefore I never bothered to discuss it with my husband. Mr Girolami was never served a copy of the No Trespass Order, nor did he ever sign a copy, nor did he ever even SEE a copy of the No Trespass Order. Therefore the day my my husband bumped Ms Maxwell’s fence, he had absolutely no reason to believe that he could not enter Maxwell’s yard in order to show his drivers license to the investigating officer. My husband had been instructed, by the police, to show his drivers license to the investigating officer. It was in his honest attempt to obey the law, and it was in his honest attempt to cooperate with the police, that he was arrested for Trespassing. For simply walking into Ms Maxwell’s yard to show his ID to the investigating officer, at the behest of the police themselves. Because Maxwell told the investigating officer, who HIMSELF had asked to see Mr Girolami’s license, that Mr Girolami was in violation of a No Trespass Order. An order which he was never served, had never signed, nor ever even seen. Do you see how this misunderstanding came about? It’s quite clear that there was no crime committed here by Mr Girolami. Yet Mr Girolami was falsely arrested, his splinted, broken arm was brutally re-broken during the arrest, he was imprisoned, was accused of lying about his arm being broken and was therefore refused medical treatment. And then actually prosecuted for Trespass After Forbidden. Even though he had never been forbidden by anyone to walk onto Ms Maxwell’s lawn, ID in hand, in his attempt to cooperate with the police. But in his attempt to cooperate with the police, he was arrested! Instead of admitting his mistake and apologizing to Mr Girolami, Chief Smith, knowing full well that he had told me (with Mrs Lowry as my witness) that the No Trespass order he served to me, pertained ONLY to me, and NOT to Mr Girolami. I believe that the reason they pressed forward with the prosecution, even after they realized their mistake, was their attempt to mitigate the brutal and horrendous circumstances surrounding the arrest and imprisonment of my husband. They hoped to make him look like a criminal so that they themselves could come out looking like the good guys. After being falsely arrested(a crime), having his arm broken, (police brutality), falsely imprisoned, (a crime) and maliciously prosecuted,(also a crime), of all the people involved in the criminal prosecution of this case, is it not funny that the only person in this entire travesty who was not guilty of a crime, was Mr Girolami?